The leader as shaman has three central roles: healer, connector, and sensemaker in the service of a better world. 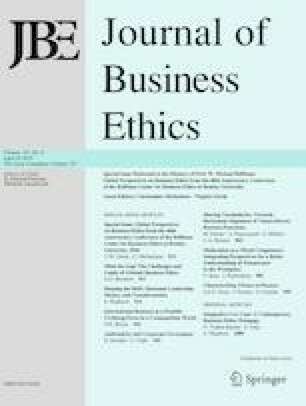 This paper argues that today’s leaders acting as shamans could become ‘shapeshifters,’ or more accurately ‘shape the shift,’ that is engage with organizational and systemic change needed to content with major problems like sustainability issues, climate change, and inequality, which business businesses are increasingly being asked to deal with as part of their societal roles. In the role of sensemaker, business leaders can shape shifts towards great sustainability and responsibility by developing new memes that speak to others and resonate across different people and groups. Memes’ roles in change, as core cultural artifacts, on which values, business strategies, and belief systems (among other things) are built, are generally overlooked but are an important element of shamanic leadership. Enright, S. (2016). A first look at how companies are responding to the SDGs. BSR. Retrieved June 22, 2016 from https://www.bsr.org/our-insights/blog-view/a-first-look-at-how-companies-are-responding-to-the-sdgs. Francis, H. F. (2015). Encyclical letter Laudato Si’: On care for our common home. Rome/The Vatican: The Holy See. http://w2.vatican.va/content/dam/francesco/pdf/encyclicals/documents/papa-francesco_20150524_enciclica-laudato-si_en.pdf. Meadows, D. (1999). Leverage points: Places to intervene in a system. Harland, VT: The Sustainability Institute. http://donellameadows.org/archives/leverage-points-places-to-intervene-in-a-system/. Skapinker, M., & Daneshkhu, S. (2016). Can Unilever’s Paul Polman change the way we do business? Financial Times, Retrieved September 29, 2016 from https://www.ft.com/content/e6696b4a-8505-11e6-8897-2359a58ac7a5. United Nations Sustainable Development Goals. (2017). 17 goals to transform our world. http://www.un.org/sustainabledevelopment/sustainable-development-goals/.